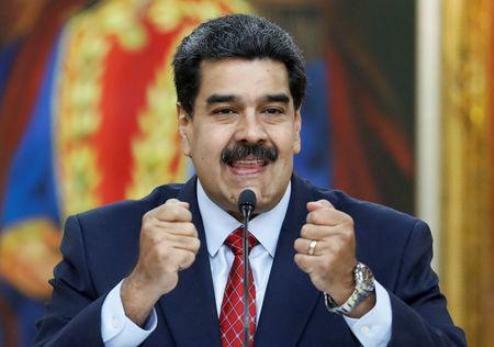 LAGOS JANUARY 27TH (NEWSRANGERS)-Venezuela’s President Nicolas Maduro rejected an international ultimatum to call elections within eight days and said opposition leader Juan Guaido violated the constitution by declaring himself interim leader. Israel on Sunday joined a growing list of countries led by the United States that back Guaido’s claim to the presidency on the basis that Maduro’s second-term election victory was fraudulent. Washington on Saturday urged the world to “pick a side” on Venezuela and financially disconnect from Maduro’s government. While Maduro’s government looks increasingly isolated internationally, it retains the support of China and Russia. Washington, Canada, most Latin American nations and many European states have labeled Maduro’s second-term election win last May fraudulent. The successor to late President Hugo Chavez cruised to victory after blocking the main opposition candidates from running. Turnout was low. “Israel joins the United States, Canada, most of the countries of Latin America and countries in Europe in recognizing the new leadership in Venezuela,” said Prime Minister Benjamin Netanyahu in a statement.